area of Cyprus you are in the right place. We do a lovely selection of fresh flowers, gifts and plants which are delivered to your loved ones or business associates door. We not only deliver flowers and plants but also teddies, champagne, wine, spirits, chocolates, foodstuffs such as a basket of fruit, candy bouquets and various other gifts and seasonal offerings. and even meet people in the street sometimes ! We can deliver flowers and gifts, a basket of fruit or a bottle of wine for weddings, baptisms, engagement parties, birthdays, corporate gifts and unfortunately, when the need arises funerals and memorial services. We can even meet your loved one at the airport with a gorgeous bunch of flowers to let them know that out of sight is not out of mind. Check out our Feedback to see what our members think of our flower delivery service. 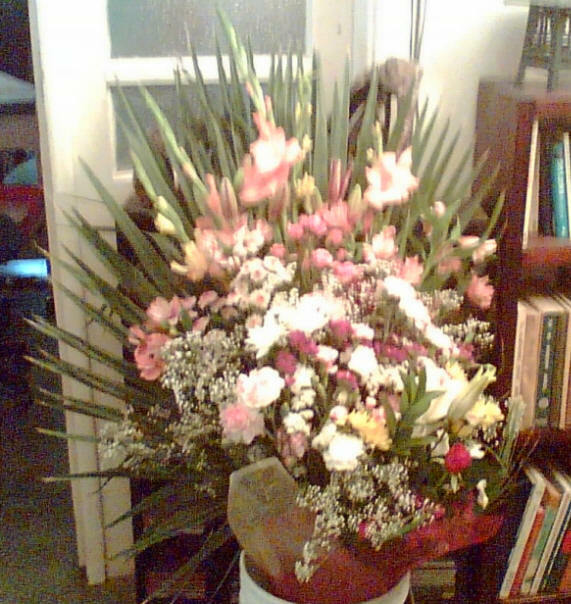 We also take a photo on delivery if you wish so that you not only see the quality of the flowers we send on your behalf but you can also see the look of delight on your loved ones face - we think it is a nice touch. 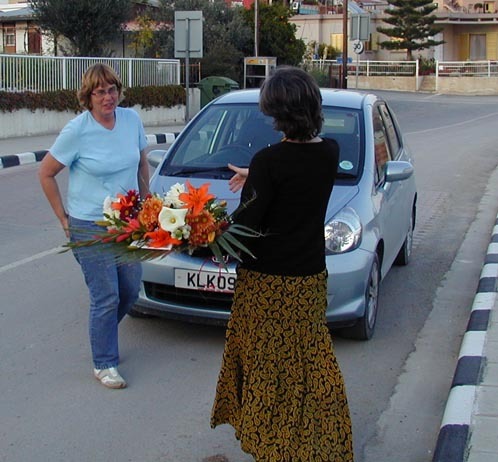 We deliver plants, flowers and gifts throughout the Larnaca area including Dhekelia, Kiti, Oroklini, (Voroklini) Aradipou, Athienou, Kamares, Livadia, Pervolia, Mazatos, (Mazotos) Pyla, Xylofagou and many other small villages in the surrounding area. Here we have a selection of delivery charges for the Larnaca area of Cyprus. but our service is the best as are our flowers.